A night dedicated to our industry friends from around Chicago. 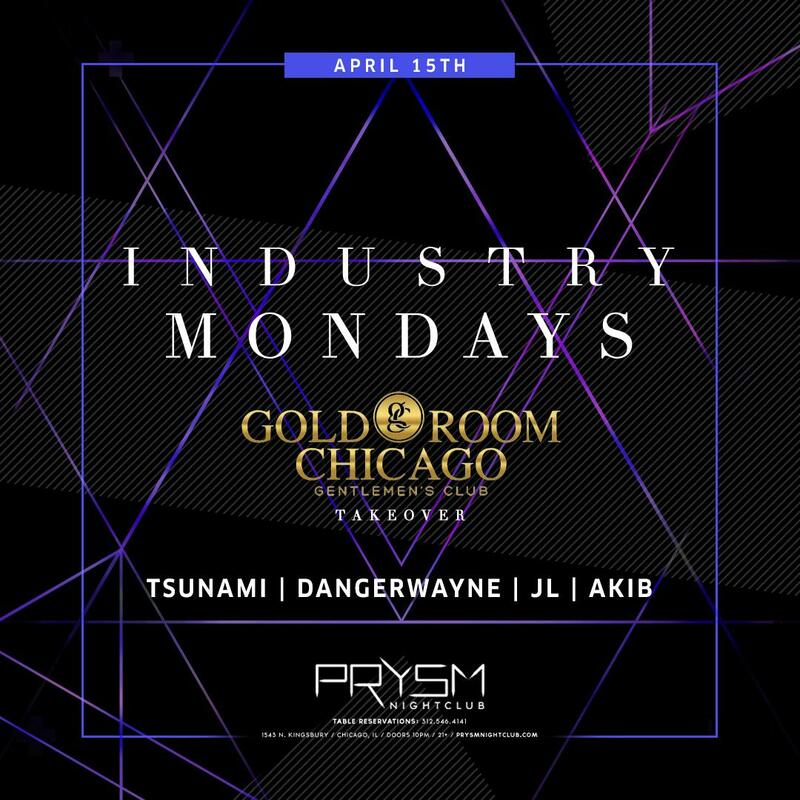 PRYSM Nightclub provides these industry friends with the energy of a big dance club for those who could not be a part of our weekend parties. Offering both bar and bottle specials all night long, this is Chicago's industry "weekend" party!